Given the enormous buzz around all of Nintendo's previous moves on mobile devices, it's a little unusual that there's been so little hype or interest around what's arguably its most significant change in strategy since the initial announcement of the intention to publish on smartphones. Dragalia Lost, Nintendo's latest game, launched in several major territories last week - marking a brand new collaboration and a dramatically different overall approach to mobile development from what's come before. One reason why there's been little interest in Dragalia Lost is undoubtedly the fact that it's not using a recognisable Nintendo brand or IP. There are touches in the game that feel distinctly 'Nintendo-ish', but Dragalia Lost is an entirely original IP that doesn't draw on any of the company's vast library of characters or franchises. This makes it into a tougher sell than any other Nintendo mobile title to date, as those all had pre-built audiences of fans who would inevitably download the game within its first week on the app stores. Dragalia Lost benefits from the weight of Nintendo being behind it, but it's still going to have to build an audience the hard way. "Dragalia Lost has launched to a pretty muted reaction... It's had the lowest grossing launch period of any of Nintendo's games so far"
That in itself helps to explain the other potential reason for the lack of buzz around the new title - namely its initial commercial performance. Dragalia Lost has launched to a pretty muted reaction. It launched in Japan, the USA and a handful of Asian territories, but it's had the lowest grossing launch period of any of their games so far. That's no doubt related to being an original IP, but it's performance over time that will really matter - note that Fire Emblem Heroes, by far the company's top performer, didn't have anything like the initial buzz that greeted Super Mario Run. Moreover, the launch performance situation presents an uneven picture, with genuinely solid performance in Japan versus pretty poor ranking in the USA. That differential in performance between Japan and the USA becomes easy to understand when you consider one of the other big departures Nintendo has made with Dragalia Lost - namely its creator, Cygames. This is the first time that Nintendo has worked on a mobile title with a firm other than its primary partner in the space, DeNA (though DeNA does hold a decent-sized minority stake in Cygames). This suggests a number of pretty important things about its future strategy, not least of which is a potential willingness to work with a wider range of partners in order to address specific geographic or demographic slices of the market. Cygames, in particular, is a name that won't be very familiar to many people in the United States but is instantly recognisable in Japan. The company's mega-hit title, GranBlue Fantasy, is a large-scale mid-core RPG that has been one of Japan's biggest grossing mobile games for years. Given the size and lucrative nature of the Japanese mobile market, that's also made it into one of the biggest mobile games in the world - all off the back of a single market. "This game is designed to be laser-guided into a single market segment, and any business it does elsewhere is just a cherry on the cake"
By tapping Cygames as its partner for this collaboration, Nintendo is making a clear play for a slice of that lucrative Japanese mobile RPG market. That's a radically different approach from a firm whose strategy up until how has been as global and demographically universal as possible, as befits the wide appeal of its core IP. Nintendo's involvement will no doubt pique some interest in Dragalia Lost overseas, but intrinsically this is a game designed to follow in the footsteps of GranBlue Fantasy and other mid-core mobile RPG titles - striking gold in Japan, falling flat everywhere else. We can fully expect to see a slew of head-scratching analyses of the game a few months down the line, which look at the US or global figures and call it Nintendo's dud title, but the only real test is its Japanese performance. This is a game designed to be laser-guided into a single market segment, and any business it does elsewhere is just a cherry on the cake. More than the fact that Dragalia Lost is original IP - though that does raise the intriguing possibility of IP that starts out on mobile and ends up flowing back to Nintendo's own platforms, a reverse course of what we've seen thus far - or the fact that it's developed by a new partner, the fact that it's such a narrowly and carefully focused game is enormously important. It suggests a significant evolution in how Nintendo thinks about mobile. 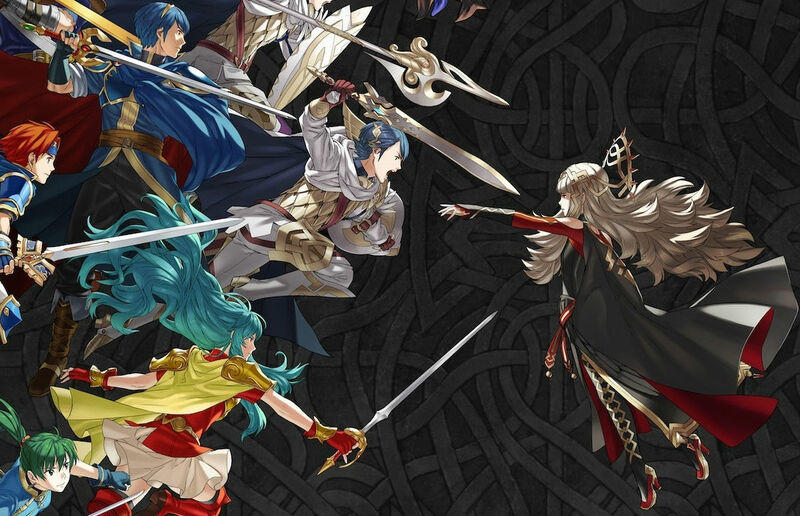 The strategy of launching mobile versions of its mega-hit franchises will no doubt continue, but with Dragalia Lost, Nintendo is showing a deeper understanding of how broad and fragmented the mobile market can be, and of how much success can be found in territory- or demographic-specific niches of that overall market. "Nintendo is showing a deeper understanding of how broad and fragmented the mobile market can be"
It's not just the content or style of the games that's important to that calculus - although a cursory glance at Dragalia Lost does strongly suggest a game tailored for East Asian markets, if not Japan alone. Different sub-markets within the mobile space also demand radically different approaches to game design (these Japanese mid-core titles are generally far more time-intensive than any major western mobile game would dare to be) and to the business and monetisation model. One size does not fit all, and the alterations that would be required to make a single game like this work across lots of different markets would cut so deep that you might as well just develop new games from scratch for each market segment. The Japanese mobile market, of course, is a unique case. Few other markets have the kind of ARPU figures Japan can boast; it's easily the most lucrative in the world by most measures. However, if Nintendo can find success in Japan with Dragalia Lost, it would stand to reason that it will move on to seek similar partnerships that can deliver results in other major territories like North America, Europe or China. As any developer that has worked with Nintendo will attest, it's a pretty intense experience; this is not a company that lets anything with its name on it out the door without being absolutely satisfied with its quality and consistency first. For mobile developers accustomed to something of a "move fast and break things" mentality, working with Nintendo could be gruelling - but it's also an opportunity few of them would consider turning down for even a nanosecond. The launch of Dragalia Lost may have passed most people by, but if this is the turning point where Nintendo begins to open up its mobile strategy to embrace a more diverse set of partners and titles, it'll be a major event for a great many people in the mobile space.